The “Nature Trek” app at the Canadian Museum of Nature in Ottawa, Canada is designed specifically for young visitors to this breathtaking science museum. In this creative app, users are encouraged to explore themes of subject matter that is classified as “Gross”, “Bizarre”, or “Ugly”. The app contains candid interviews with museum curators and staff – and even includes a “Highlight Tour” of staff favorites around the museum. Visitors to the museum will get a whole new view in to the museum with this mobile app as their guide. The app is offered in both French and English. 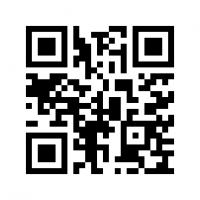 To view the app, visit http://naturetrek.toursphere.com or scan this QR code with your smartphone. Introducing the first embassy app of its kind! 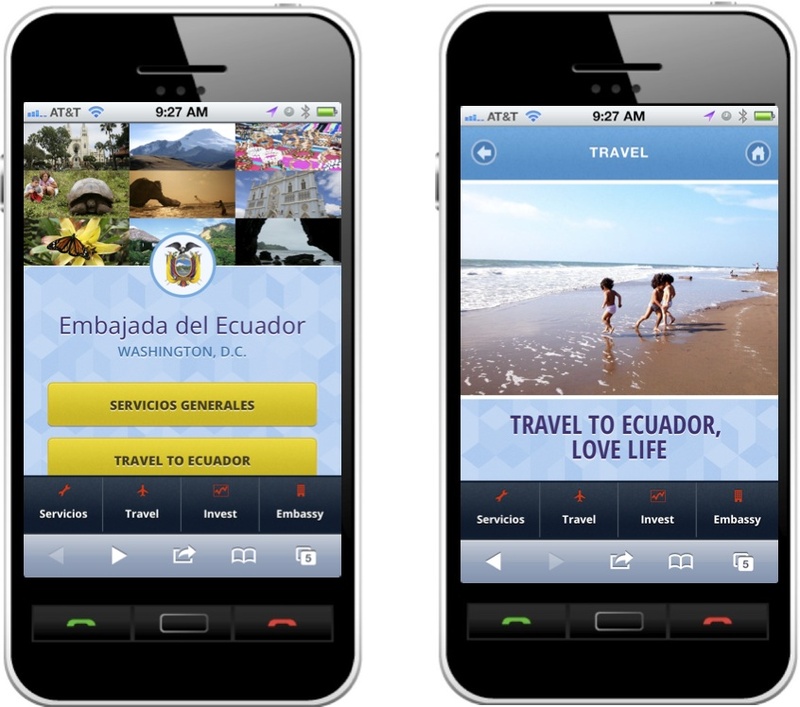 The TourSphere team worked with the Ecuadorian Embassy to create a beautiful app that shows off the amazing beauty and richness of this South American country. The app is created with two users in mind: 1) Ecuadorian citizens traveling in the US, and 2) US citizens interested in traveling to Ecuador. The app includes helpful consular information, tutorial videos, and contact information for the Embassy as well as Ecuadorian consulates in the US. If you have ever wanted to travel to Ecuador or just want to learn more about the country, check it out! 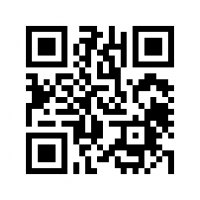 To view the app, visit http://ecuador.toursphere.com or scan this QR code with your smartphone. 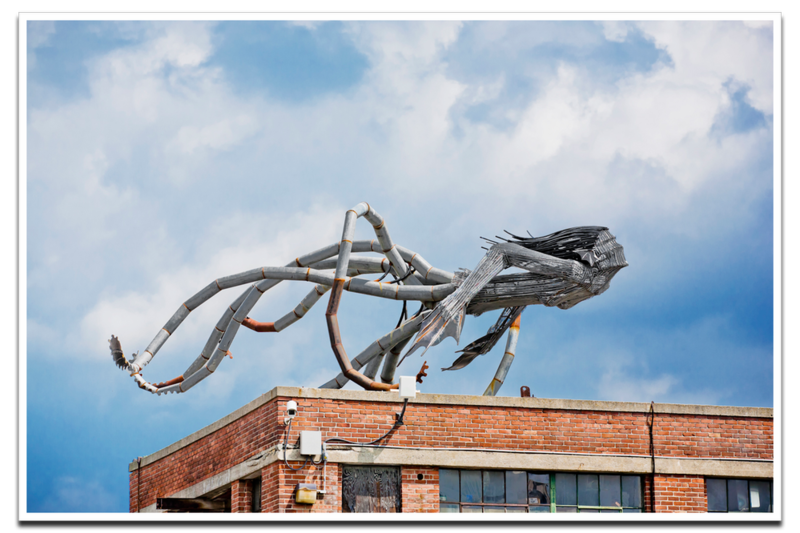 If, upon visiting the Boston Harbor Shipyard and Marina, you noticed that one of the buildings had a large half man, half octopus sculpture on top, your curiosity might be piqued. (The name of the sculpture is Iscariot, by the way, and he’s made of recycled steel and reclaimed wood.) What is a piece of art doing in a marina? Iscariot is not alone; the HarborArts project has turned the Boston Harbor Shipyard and Marina into a veritable art museum, but instead of walking by puzzled, visitors can now access the entire exhibit through their mobile devices on a TourSphere tour, engaging with the work and learning more about the artists. An interactive map allows visitors to conduct a self-guided tour of more than 30 different pieces of art around the Marina. It also allows HarborArts to engage visitors about its unique mission: to protect and preserve our oceans and waterways by helping each of us to understand the issues and solutions facing our blue planet, using monumental art and public sculpture to raise awareness. The HarborArts app is a classic example of how a mobile tour can turn what might be a confusing sight to a passerby into an opportunity for engagement with an organization and education about a mission. Further, it provides a virtual tour experience for those who aren’t able to visit the open air museum directly, with excellent photos, background and artist information about each piece of art. In an effort to also promote the artists featured at HarborArts, the app also provides information about each artist and, when applicable, links to their blogs and websites. For those impressed by the exhibit, they can choose to instantly “Like” HarborArts on Facebook or follow the organization on Twitter, providing immediate interaction and the ability to capture the visitor’s interest before they leave the exhibit. It also provides a donation button embedded into the app, again providing an instant way to access and engage the visitor. The HarborArts TourSphere app is another creative way for a small nonprofit organization to expand their reach and engagement economically and without hiring staff for tours. If you ever visit the Boston Harbor Shipyard and are wondering about the artwork hidden about, check out the app for the details! 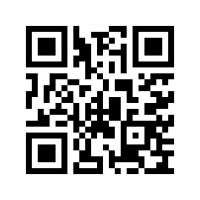 To view the HarborArts Tour, visit http://harborarts.toursphere.com or scan this QR code with your smartphone. As 2012 draws to a close, many of us will be reflecting on what we’ve learned over the past year. While perhaps some reflections will be personal or professional, here at TourSphere, we want to take a minute to review the year in mobile. So we’ve tapped our team to present to you the lessons we’ve learned in the mobile space this year. Mobile must be a part of your strategy. 2012 was the year that a mobile component to your marketing strategy went from being “nice to have” to “necessary.” Even Facebook learned that the lack of a solid mobile strategy can do a number on your company’s value. A Nielsen study released in February 2012 revealed that nearly half of the cell phones in the US are smartphones, up 38% over the same statistic for 2011. Microsoft Tag predicts that mobile usage will overtake desktop usage by 2014. These statistics confirm what all of us already knew from our own day-to-day usage: if you don’t have a mobile presence and if that presence doesn’t make it easy for a user to access your information on their device, you’re losing out on a huge chunk of your audience. The mobile market will become increasingly fragmented, with more choices for consumers. In the beginning, mobile developers had only to worry about Apple and Android. Today, the options for mobile devices expand on what feels like a daily basis. From smartphones to tablets, new technology like the Microsoft Surface gives consumers the power of choice and gives developers the headache of having to add yet another platform to their list. A recent Nielsen study showed that Android, which “dominates” the market, still has less than a 50% market share when it comes to smartphones. Developing across multiple platforms is going to be increasingly important as we enter 2013. Web apps like those created on TourSphere Builder will provide a flexible, more nimble and more economical option than developing native apps. You need a long-term mobile strategy, not just an app. In 2011, companies were building apps like crazy. In 2012, we started thinking about other aspects of the mobile strategy. Because so many people are accessing your company or organization’s information by mobile device, it’s essential that an entire strategy take place around the mobile medium, not just a single app, and that that strategy is as flexible as the rest of your marketing plan. We began to see companies turn to TourSphere to help with this flexibility, because web apps can be easily managed and changed unlike native apps. We began to see that mobile goes beyond simply an app, into location-based services that help with targeted marketing, to websites optimized for mobile devices to coupons delivered by mobile device. An entire strategy around how your audience uses mobile is essential for 2013. Analytics and data on how visitors are using your app is critical to evaluating, developing and adjusting your mobile strategy. Tell us: What do you think was the biggest lesson about mobile in 2012, or the biggest mobile story of the year? Hampton, Virginia is a picturesque city and the site of America’s first continuous English-speaking settlement. Dating back to the 1600s, there’s lots to see in Virginia’s sixth-most populous city, and the Hampton Convention & Visitor Bureau wanted to make sure that no one missed a beat. That’s why they created a digital tour guide with the “This is Hampton, VA” app on TourSphere. This smartphone city tour provides six “insider’s” tours in the city of Hampton: Downtown Hampton, The Virginia Air & Space Center, the Neighborhood Tour, Hampton University, Fort Monroe and Phoebus. Each walking tour highlights some of the city’s best features and provides visitors with an easy, free way to make a day or weekend out of exploring the city, making it an even more attractive destination. To get funding for the apps, the Hampton Convention & Visitors Center tapped into each featured organization for relevant grants. This creative method allowed them to pay for the app from a variety of different sources, defraying the cost and serving the mutual interest of a number of local organizations. Downtown Hampton: This one-hour, one-mile tour features an interactive map of downtown and videos that share with the tourist Hampton’s Civil War history, its connectionwith Blackbeard, the site of Bunch of Grapes Tavern (a colonial watering hole), the city’s art and culture and more. Virginia Air & Space Center: Take a walking video tour of 20 aircraft and 10 spacecraft, from antique planes to space shuttles, and learn about the country’s history in the air through videos on your smartphone. The Neighborhood Tour: A 90-minute walking tour of Hampton’s “heart and soul” drives you through scenic roads while giving the opportunity to explore on foot at times. View Victorian homes, waterfront vistas and more. Hampton University: Tour one of the country’s leading Southern universities and its leading historically-black university. In 90 minutes, learn about Hampton University’s pivotal place in the Civil Rights movement, hear about the pro football players that played at Hampton before they “made it big,” and check out Rosa Parks’ former place of employment. Fort Monroe: One of North America’s most historic and prestigious forts, Fort Monroe has been been a place of refuge for thousands of fugitive slaves; a prison for rebel leaders; and an active military post. Check out the Lincoln Gun, a 49,000 pound cannon and the cell where Jefferson Davis was once imprisoned, all through video and an interactive map. Phoebus: Take a walking tour of one of the oldest neighborhoods in Virginia’s lower peninsula with TourSphere. Videos will talk about the neighborhood’s Civil War history, the Great Depression as depicted by a Post Office mural, and more. Hampton’s unique idea–to create a package of tours and a complete tourism experience–helps to enhance a visit for any tourist while ensuring that they don’t miss a beat in the city and adding value for member organizations that can be incorporated into tours. 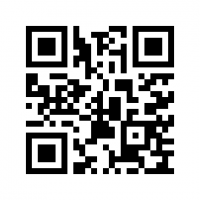 To view “This is Hampton, VA,” visit http://hampton.toursphere.com or scan the QR code with your smartphone. The Hampton Convention & Visitor Bureau in Hampton, VA has created a unique app package that allows visitors to the city to download a package of six tours that will guide them through the city. Featuring tours of neighborhoods and universities, the comprehensive tours give an insider’s view on the city. But perhaps one of the most popular sites in Hampton is the Virginia Air & Space Center, and accordingly the app for the site gives visitors a dynamic virtual tour through the museum, exhibit by exhibit. Opening with an exciting ride over the clouds, the Virginia Air & Space Center App guides visitors through the museum with video and audio that gives background on each exhibit. The narrator leads the user through the museum with audio and visual cues, ensuring that the visitor doesn’t miss any important highlights. With 20 aircraft and 10 spacecraft in the center, there’s lots to see. The app highlights such aviation milestones as the Tuskegee Airmen, the first black military airmen, including video interviews with some of the airmen themselves, providing living encounters of their time in combat. Or, get an up-close look at the F-4E Phantom II while listening to a history of its use and a rundown of how the aircraft is used. Check out the space capsule that carried astronauts to the moon and back…and hear from one of the astronauts who was on the flight. You can even take a virtual tour of Mars. The Virginia Air & Space Center is a great example of using multimedia–video and audio–to create a virtual tour that simulates an in-person tour at the museum and helps engage the visitor by providing fascinating background information and ensuring they don’t miss any important details in the museum. 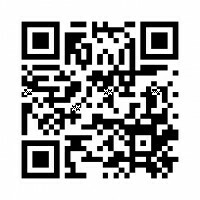 To view the Virginia Air & Space Center App, visit http://hampton.toursphere.com/en/virginia-air-space-center-22607.html or scan this QR code with your smartphone. Dreaming of a beach vacation as the snow flurries start up and the temperatures drop? If you’re booking a ticket to the caliente winter destination of Miami, or if you just want to hide from the driving snow by dreaming about such a vacation, Miami: An Insider’s Walking Tour, powered by TourSphere, will give you the local’s view on some of the city’s hottest landmarks and most interesting stories. Appropriately narrated by Claudia, a half-El Savadorean, half-Hatian bikini model, the audio tour leads you through the city step by step. Check out the site of the infamous Chainsaw scene from Scarface, then lighten the mood at the famous Wet Willie’s, where Claudia walks you through guzzling down one of their delicious, fruity, frozen cocktails. Aside from Claudia’s narration and her insight on the sites and sounds of Miami Beach, the tour will provide you with local music and interviews with the city’s movers and shakers. From hot spots where “Miami Vice” filmed to famous art museums, the Insider’s Walking Tour allows tourists to get a more in-depth appreciation for the city for free and on their own time. 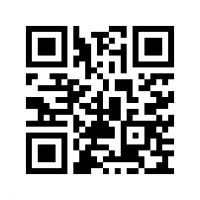 To view the Mobile Tour Miami: An Insider’s Walking Tour, visit http://miami.toursphere.com or scan this QR code with your smartphone. By nature, most people staying at a hotel are in a place that’s entirely new to them. Since what seems like the dawn of time, travelers have relied on the recommendations of concierges in making decisions about the area and getting oriented within the hotel or resort itself. In recent years, web searches have started to play a large part in people’s travel plans, and the advent of browsers in mobile phones makes it even easier for travelers to quickly make decisions about what they want to do when staying at a hotel. But what if you could combine the best of both worlds: provide your on-site concierge’s expertise to your guests, even those who would rather do the research on their phones? Many hotels, hostels and resorts have begun implementing mobile apps to help act as virtual concierges for their guests. At TourSphere, we’ve seen everyone from historic hotels like the Mountain View Grand to trendy hostel’s like Boston’s 40Berkeley implement mobile tour apps to help their guests get around. If you’re considering a mobile app for your hotel, hostel or resort, we’ve got a list of features you should include! A map of the property: TourSphere allows you to easily create an interactive map that can help orient your guests to your property and even to nearby points of interest. Frequently requested must-sees: Whether it’s recommended restaurants or nearby sites, add them to your interactive map and create informational icons that give visitors the low-down on the spot, including menus, hours and more. Event calendar: Because TourSphere apps are web-based, you can update them on a constant basis and the update immediately pushes into the app. Add events within your own hotel and those in the surrounding tourist area so guests can be tuned in at the touch of a button. Special property features: Whether your hotel has a special local art exhibit or just some fantastic historical features, be sure to include images, video, audio, or written explanation. This will help identify the unique aspects of your hotel and make the stay memorable for the guest. We want to hear from you! What features are must-haves for any hotel, hostel or resort app that you’d want to use? Newport, Rhode Island is known as an iconic location filled with historical nods to the past, through the mansions lining the coast, historic meeting houses and buildings downtown, as well as its role in the American Revolution. The Newport Historical Society has married its love and dedication to history, with technology, by providing visitors a TourSphere mobile app to explore Historic Newport. The Newport Historical Society is dedicated to collecting, preserving and sharing items from Newport’s past. Their mobile app allows the public to peruse news, events, offerings and resources and take a step back in time. Guests can also virtually visit the Museum and Gift Shop through their phone. The app, sponsored by a local Real Estate Company, is a great example of monetizing a mobile app and providing a local company great exposure to their target audience. We’ve got some more helpful tips on this topic here. This season, The Newport Historical Society has lots to talk about! December 1st marks the beginning of the Holiday season, with their Open House event, and proceeding Holiday Lantern Tours. Next week, the Newport Mansions also debut their holiday look, with festive decorations that are not to be missed. So, first check out the mobile app and then plan your visit to historical Newport this season! 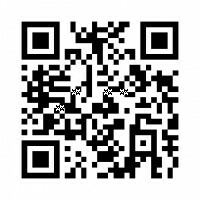 To view the Mobile Tour of The Newport Historical Society visit http://newport.toursphere.com or scan this QR code with your smartphone. Around New England, there is a plethora of historic homes, estates and museums to check out for locals and tourists alike. At TourSphere, we love exploring both the well-known and hidden gems around our area. Today, we’ve decided to share some of our favorite estates around New England, picked out especially for you to enjoy during the upcoming holiday season! A cozy little “estate”, just outside of Boston, MA, the Louisa May Alcott’s Orchard House is the setting for the well-known novel, Li ttle Women. Visit this historical venue, where Louisa May Alcott both wrote and used as a setting for her book. When walking through the rooms, you’ll find the majority of furnishings and setting just as it was when the Alcott family lived there in the 1800s, complete with the desk that Louisa wrote at. If you visit during the month of December, they also offer a holiday program on the weekends. Amidst the Witch Museums and tourist landmarks in Salem, MA stands a grand historic home on Chestnut Street. The Phillips House is a true New England style estate, built by Captain Nathaniel West in 1821. When you visit, you’ll find a unique collection of early American antiques, as well as Hawaiian and Polynesian artifacts. You can also enjoy a Thanksgiving celebration with the Phillips Family on November 15th. If you are heading up North in Maine, be sure to look up the Victoria Mansion in Portland. A summer home to Ruggles Sylvester Morse, the estate was built in 1860 and is also known as the Morse-Libby House. Considered as one of the most splendid examples of pre-Civil War architecture, the opulent estate is decorated to the nines with lavish, intricate details throughout. A well-known household name, Mark Twain is an American icon. However, most New Englanders don’t realize that his house is right in Hartford, CT. Visitors can peruse the impressive home, where Mark Twain and his family lived from 1874-1891 and Twain wrote some of his most famous works including Adventures of Huckleberry Finn, The Adventures of Tom Sawyer, The Prince and The Pauper and A Connecticut Yankee in King Arthur’s Court. The House’s Annual Holiday House Tour takes place on Sunday, December 2nd, so be sure to visit this destination. And now that we’re in the spirit of the holidays, here’s another one of our favorite estates to visit during the season! Located in Bethlehem, NH, The Rocks Estate is best known as a Christmas tree farm. But, when you are there picking out your tree, don’t forget to marvel at the rest of the 1,400 acre estate. Walk around the well-kept trails, learn how maple syrup is made, and enjoy sights of the preserved wildlife around the grounds. During the holidays, there is a plethora of festive activities to partake in. We hope you’ll take some time and enjoy a few of our favorite estates around New England! Happy travels!